Take your morse code to the next level with Koch Morse Trainer Pro. The only trainer that supports prosigns (procedural signals) and non-english characters on Android. NOW WITH TESTING FEATURE!Learn or improve your morse code in a short amount of time. The Koch method is designed to teach you morse at full speed. 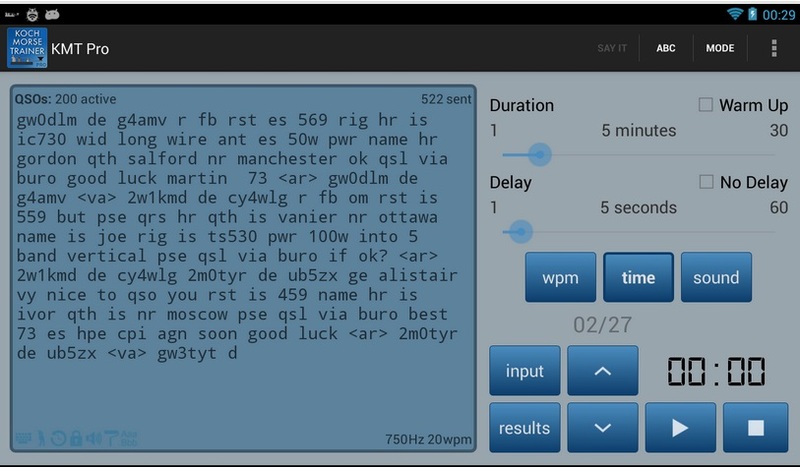 There’s no need to learn at slow speeds then re-learn all the characters again once you increase your wpm.If you wish to start off slow or simply want to pass your 5 wpm morse exam, this app has adjustable speeds to suit your needs.KMT uses Farnsworth timings like the ARRL use for their transmissions and practice tapes. You can increase the gap between characters so you still learn them at full speed but not feel overwhelmed by the frequency they are sent. Ham radio to FCC : don’t let Marriott mess with our bands!